I’m in the process of downloading this book! How can I rate it? I’ve only used the app a little, but it’s been great so far - easy to use, and it’s given me access to free great literature. What could be better than that? Love it! The first place I look for a book. Have used this app for years. Great choices. Like being able to mark books as "read." I've looked at all the ePub apps and this is by far the best - use it every day. Great app. I had no problem. I do miss having a dictionary. This is, hands down, the best investment. 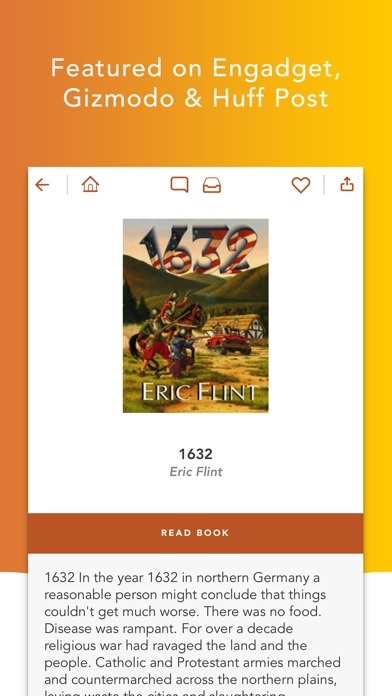 This app seems to have the best combination of accessibility to millions of books and easy readablity. I have little experience with it, having used it for only two weeks, but find it very useful. I loved reading a very long Russian novel on this app. Just a couple of clicks to pick up where I left off. This app works with Calibre, but crashes often, making me re-open and navigate from the library screen back into the book. Also, doesn't have a way to read the series order metadata so that I can navigate the books that way.. which gets cumbersome if my series is bigger than a trilogy. I love classics and hard to find out of print books. Amazing - on my iPhone for free! Handles most of the formats. Convenient way to experience a wide range of genres. Like carrying an entire library in one’s pocket. Free books, cant beat it! Love it but not all good reading material for minors. We allowed our kids to get Megareader and were sad to find they had stumbled into some perverted reading material. I still use it for the good rare books that can't be found today. I read them aloud to the kids. This is a nice app to replace Stanza, which I used almost exclusively. Works well on iPad. I would like to see on the bottom bar some indication of the percentage of book read. Right now I have to estimate from the length of the bar. Otherwise performs quite well. 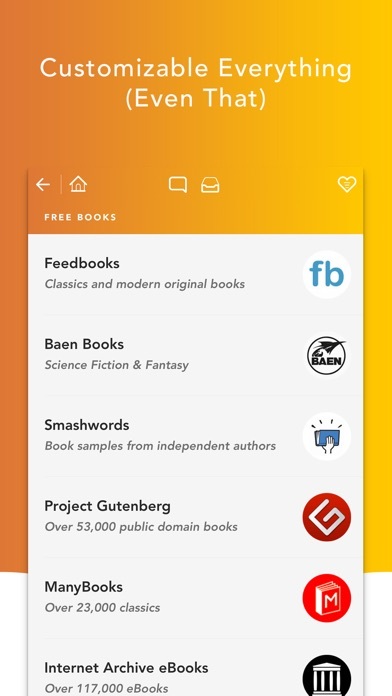 Great app to download free books. 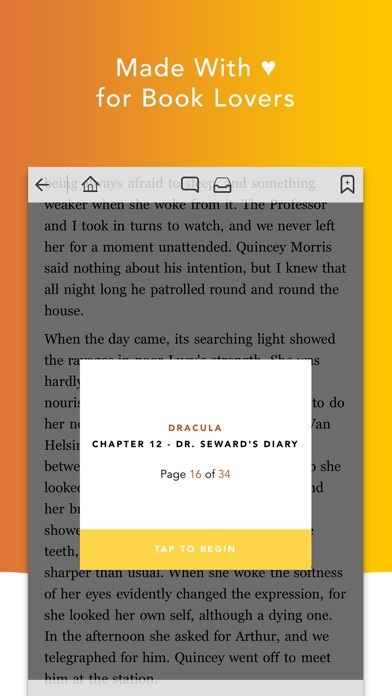 Easy to use, turn pages by swiping or tapping, has a page dimmer feature for night reading and other nice features like bookmarking. Downloaded books don’t require internet access. it is like walking into the library of congress! At the library of congress you have too stop reading at closing time. This is better! Haven't received them yet but looking forward to them. I'm pleased with how far this reader has come since Stanza died. The programmer seems really responsive to feature requests. It’s reliable and easy to use. Intuitive, infinitely customizable. Just a fantastic reader. Easy to use. Great books available. 12/26 - OK, take two. After some googling and testing I’ve been able to get this to work. Most of the problems had to do with the windows firewall (big surprise). I’m sure all windows users would run into the same issues. I’m not sure why there aren’t better instructions or a better installer that just takes care of these problems. Now that it’s working the reader seems pretty good well worth the few dollars it costs so I retract my earlier statement (below). 12/22 - This is junk. Installed it as a replacement for Stanza. Touted as “does everything you want”. Does not connect to the Calibre content sever. Just gives an error message, “nothing found”. Complete waist. Doesn’t work. Save your money. The best on line App! It was recommended to me, since friends and family know I love to read... this app is awesome! Such a great selection of books available. Good book reader, good sources for books. great app thanks a lot. Choose your font and size, adjust brightness with a swipe as you're reading, oh, and did I mention amazing selection of free and for-purchase books? FAST download, so easy to use...can't say enough good about it. Kindle, eat sand! This is a good reader but I'd like to see a page flip effect and more Calibre like integration incorporated. Overall, pretty good. There’s a lot in the app to like. It’s fast, connects well with Calibre, and has a lot of formatting options. But why it doesn’t allow word lookups in a dictionary is beyond me. Love it! The first place I look for a book. Have used this app for years. Great choices. The lighter new background colors make it harder to read the descriptions. The app was much better when you could type in the name of a book and get it. This hunting is very inconvenient. really like the wide selections! Has to be the best book reading app out there!! Keep up the great work, book selections and resources. Paid catalogs, free public domain work as well; can configure to add your own arbitrary sources too. Good UI. A Godsend for the Bibliophile! I can't begin to say how helpful this app has been while do research. I have the wealth of knowledge from some of the world's libraries at my fingertips. Was a great ap until recent updates. Megareader abends when trying to move an ePub from email to Megareader. Ap is now useless to me. Would give zero stars if that were possible. Please fix!!! 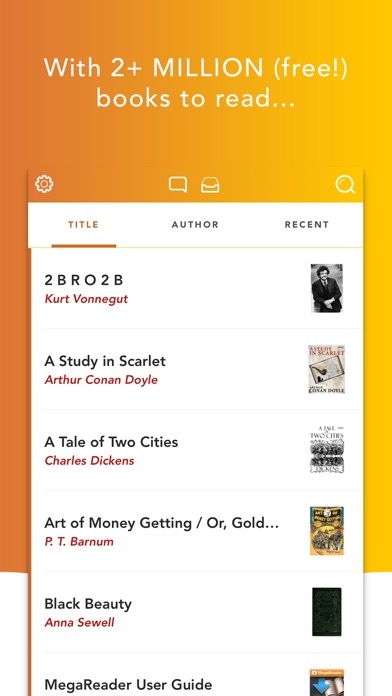 MegaReader is very easy to use for ebook reading, and downloading e-books from Calibre. I have an archive.org account and i assumed you could sign into your account from this reader but you cant. No big deal. I would simply search the books in my archive.org and download to the reader. WRONG! None of the books or Authers even came up when i searched even though i know they all exist because i have them on my online library. Its better to go to the myriad librarys themselves because they all offer pdf version AND they actually have the books you want unlike this ripoff. This reader should be banned from the app store. I just blew 2 bucks. This looks to be a good replacement for stanza. Added a star from my original review for the great updates and changes they have made since its introduction. Megareader is very convenient to use. It just lacks dictionary and pages while we are reading. I hope these features will be added soon. Free books, and works well, what more to say! This app seems to have the best combination of accessibility to millions of books and easy readablity. I have little experience with it, having used it for only two weeks, but find it very useful. Complete library at the palm of your hand. Very good hardly have issues!